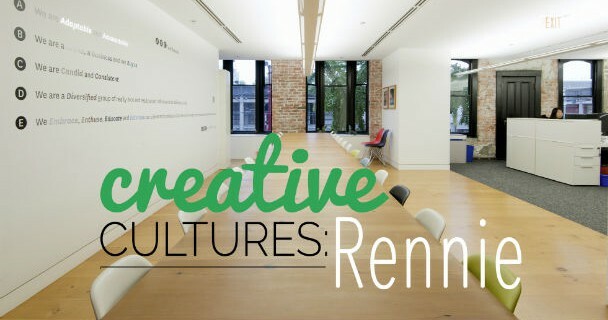 In our Creative Cultures series, writer Crystal Henrickson spends a day inside companies to learn how hiring, onboarding, and company culture play a role in employee happiness. From startups to design firms and all in-between, we’re pulling back the curtain on what it’s like to work in inventive and productive environments. In the vast land of startups, the laser-precision focus is often directed atproduct, with less thought to building a brand. But when it’s time to go to market, that can cause difficulties for young companies who don’t yet have the in-house expertise to articulate what and who they are. 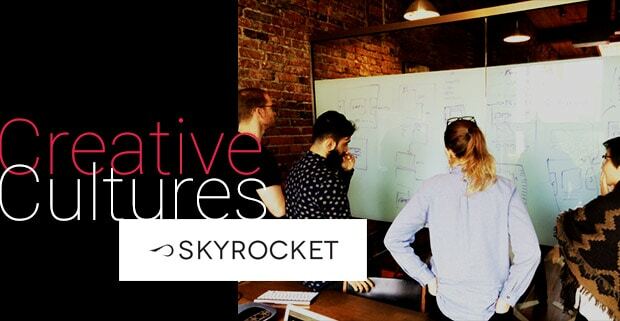 Cue Skyrocket, a digital branding agency in Vancouver, specializing in developing and telling the full brand story of startups, festivals and social organizations. In our Creative Cultures series, our writers day inside companies to learn how hiring, onboarding and company culture play a role in employee happiness. From startups to design firms and all in-between, we’re pulling back the curtain on what it’s like to work in inventive and productive environments. Today, writer Crystal Henrickson takes us through a day at Left. Building an office environment, rich with meaningful and impactful work is no easy feat, but what happens when more than half of your team works on the other side of the planet? 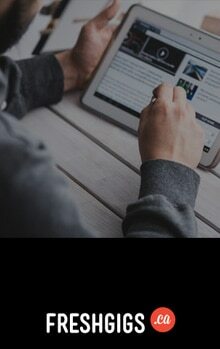 Creative Cultures is powered by Chimp, bringing people and charities together. In our Creative Cultures series, our writers day inside companies to learn how hiring, onboarding and company culture play a role in employee happiness. From startups to design firms and all in-between, we’re pulling back the curtain on what it’s like to work in inventive and productive environments. 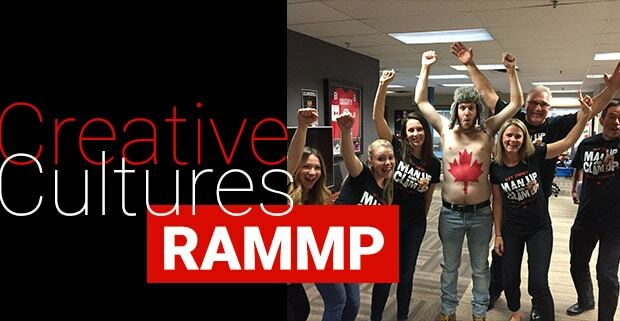 Today, writer Crystal Henrickson takes us through a day at FCV Interactive. The prevailing agency attitude has long been one of senior level creatives working on the most valuable (and the most fun) projects. 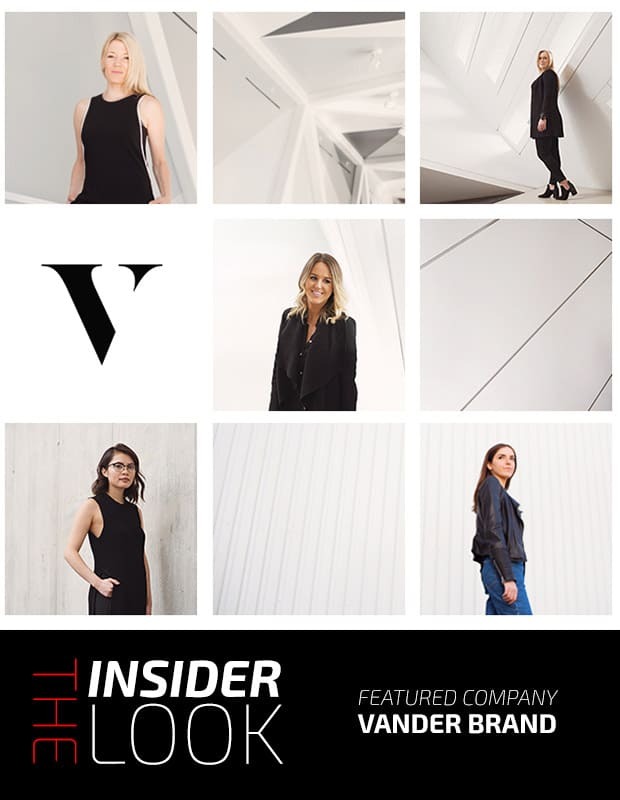 Not so at Vander Brand — a full-service, creative agency based in Toronto — that’s busy blazing its own trail, fostering learning and idea sharing across all levels of the organization. Founder/Creative Director Julie Vander Herberg has maintained a linear work style since the beginning. Her approach ensures that ideas, contributions and interactions with clients are never diluted and voices from the most junior to the most senior carry weight. 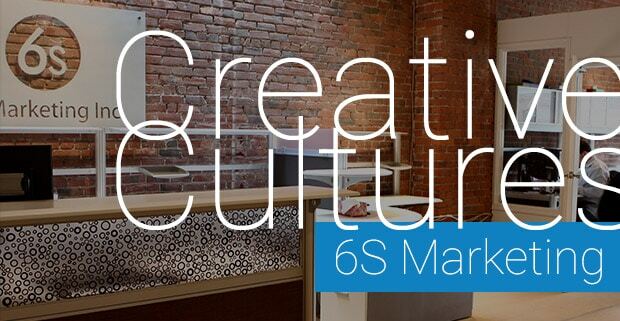 In our Creative Cultures series, our writers day inside companies to learn how hiring, onboarding and company culture play a role in employee happiness. From startups to design firms and all in-between, we’re pulling back the curtain on what it’s like to work in inventive and productive environments. Today, writer Crystal Henrickson takes us through a day at Ideon. What if you were told to think inside the box? In this case, it’s more like thinking from inside the box company. 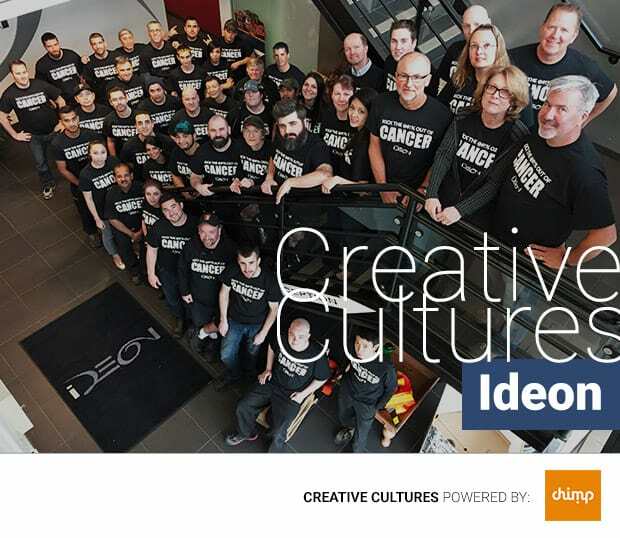 Based out of Richmond, British Columbia, Ideon Packaging makes attractive and effective packaging, while building a strong and supporting internal community. I was invited to lift the proverbial lid on this company and experience a day in the work life at Ideon. 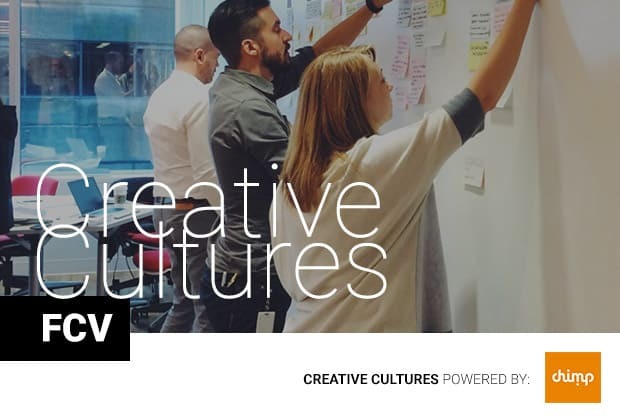 In our Creative Cultures series, our writers day inside companies to learn how hiring, onboarding and company culture play a role in employee happiness. From startups to design firms and all in-between, we’re pulling back the curtain on what it’s like to work in inventive and productive environments. 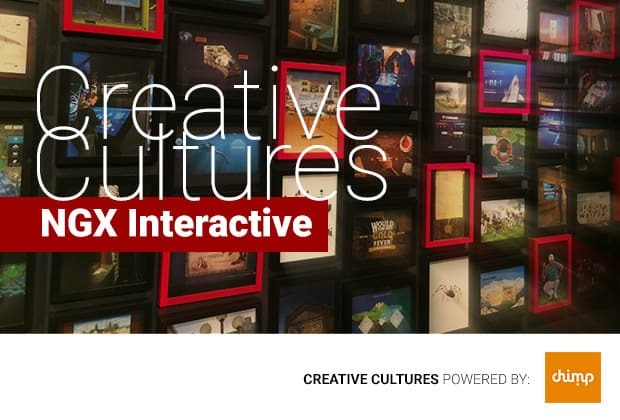 Today, writer Crystal Henrickson takes us through a day at NGX Interactive. When we embark upon one path in business, no matter what our vision or intention, we don’t always know where we’ll end up. What started out as a web design company for founder Leigh Byblow has grown into one of Canada’s leading companies providing custom, digital, interactive experiences. These leading edge installations can be found in culturally-focused institutions like science centres, museums and discovery centres across the country. I was invited for a behind-the-scenes look at the close knit team that makes this business tick. In our Creative Cultures series, contributor Crystal Henrickson spends a day inside companies to learn how hiring, onboarding and company culture play a role in employee happiness. From startups to design firms and all in-between, we’re pulling back the curtain on what it’s like to work in inventive and productive environments. 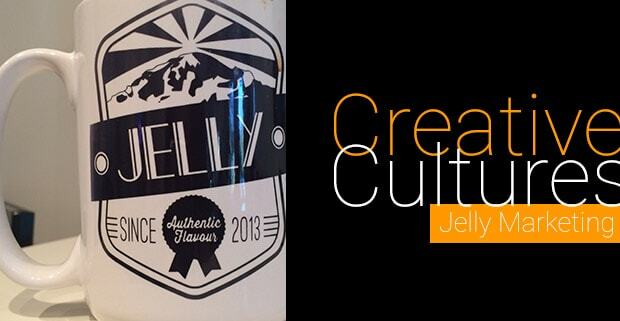 Creative Cultures: Welcome to Jelly Marketing’s jungle! 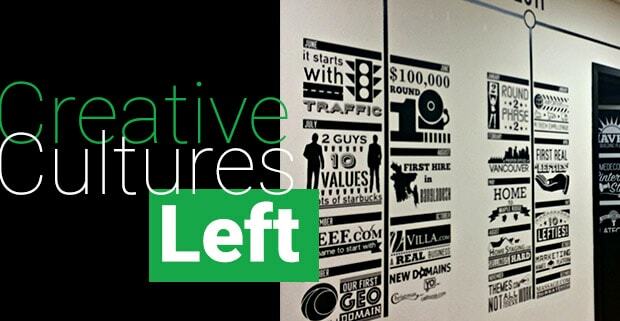 You wouldn’t normally think of heading out of the metropolis region of a big city to find a digital marketing agency at the creative forefront for many of today’s big brands. But that’s where I found myself, visiting Jelly Marketing located in BC’s Fraser Valley region. When April Yau graduated from BCIT, she knew exactly where she wanted to work. During a marketing management class, her teacher led the class through a comparison of 6S with another company to explore differences in company culture. “I found out about how they give back to the community, the cool clients they have, all of the innovative campaigns that they run and especially how family-centric they are. I thought, ‘That’s exactly where I want to be,’ because they work hard and they play hard.” Fast forward three years, and today April is loving her gig as a 6S Senior Account Manager.